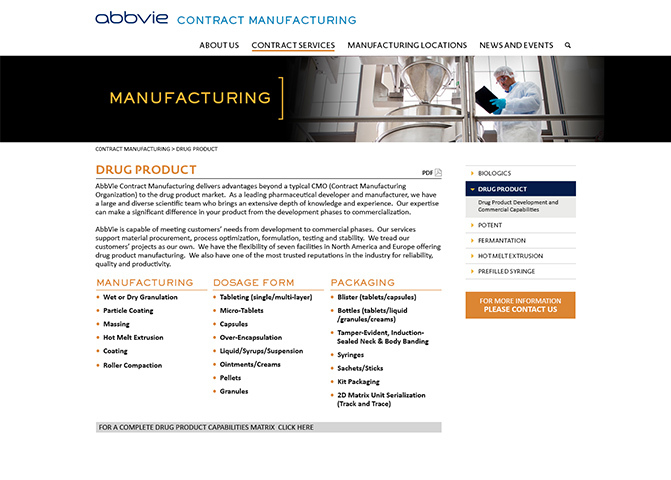 We were called upon to design a new, modern, and mobile-friendly site for AbbVie Contract Manufacturing. 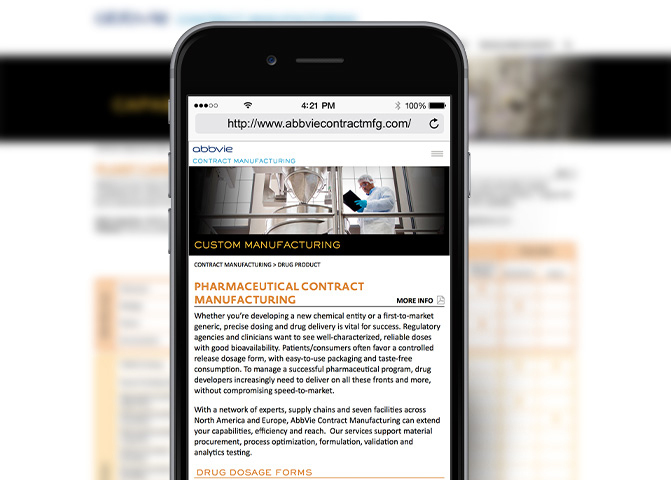 We ultimately developed a fully responsive site, providing the best experience for desktop, tablet, and mobile users, while remaining in-line with the existing AbbVie corporate branding. 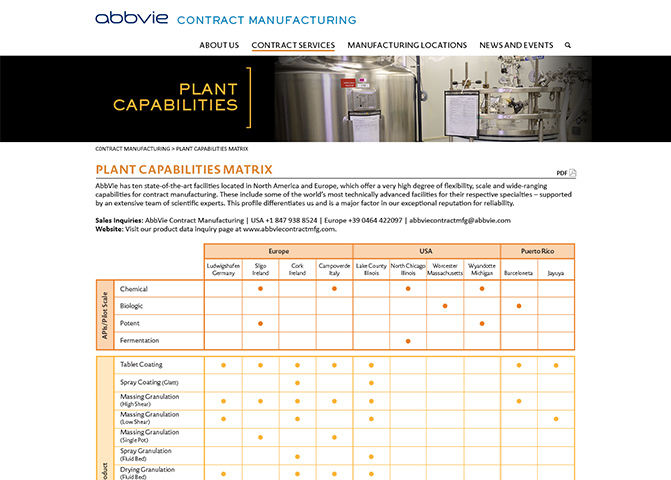 The new ACM site combines all the various aspects of the manufacturing process as well as highlighting the company’s global presence. 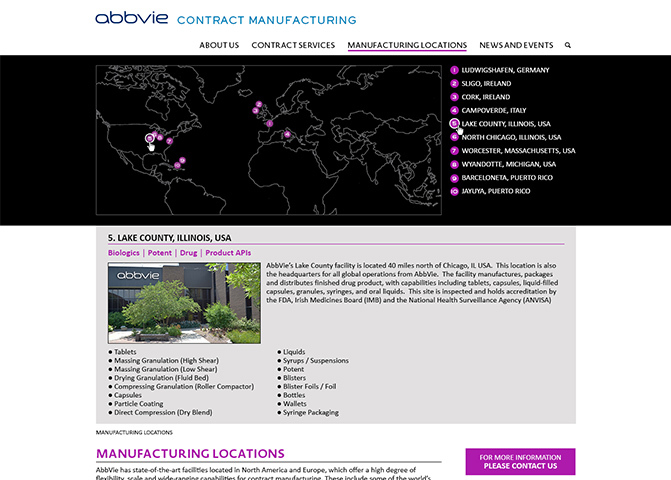 AbbVie Contract Manufacturing is a bulk pharmaceutical developer and manufacturer. 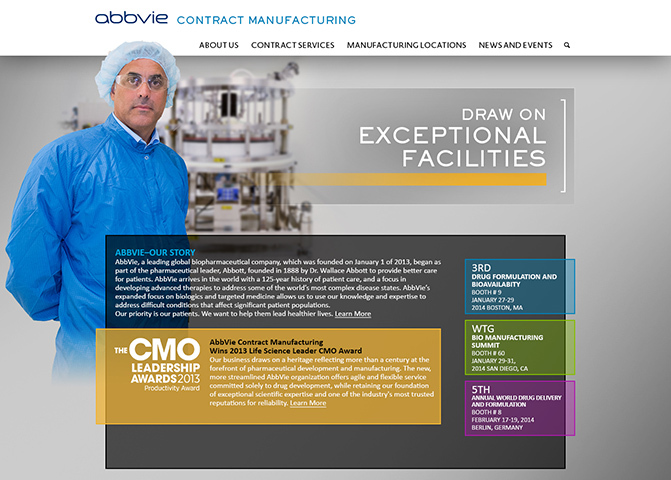 It’s parent company, AbbVie is a leader in the biopharmaceutical industry.